The elegies of Susan Howe. TRADITIONALLY, POETS HAVE used the elegy as a formal lament for the beloved dead, whether the person who died is either an intimate or a public figure. A substantial amount of Susan Howe’s poetry is elegiac, commenting on the losses of those closest to her in her personal life: her mother, father and two husbands. Absence and a non-rational approach to religion have also shadowed her writing, especially as it pertains to American women writers from the early settlement of New England to the nineteenth century, whose writings have also suffered a kind of death. Howe’s 1985 study of Emily Dickinson, My Emily Dickinson, was instrumental in re-establishing Dickinson’s unedited texts and making them part of the American canon. 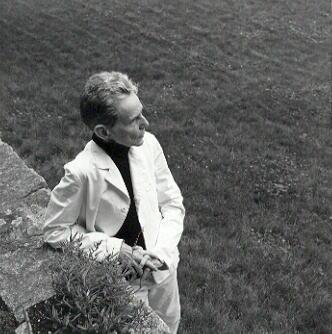 The daughter of an Irish-born actress/playwright and a lawyer from a Boston Brahmin family, Susan Howe began her life as a visual artist, and her poetry often partakes of strong visual elements. She has often been associated with the Language poets, although her writing deals with subjects, such as theology and lyrical poetry, that are normally not considered part of Language poetry’s central concerns. Since the mid 1990s her work has been published by New Directions in eight collections, the most recent of which is That This, a meditative elegy, parts of which were written after the death of her third husband. Howe won Yale University’s prestigious Bollingen Prize in 2010. She reveals his death, delicately, in that single negative, but she doesn’t linger over this description or elaborate on her feelings. What she writes next is a cryptic and abstract phrase that just barely misses being a sentence and could have been drawn from Eliot’s later philosophical poetry: ‘Starting from nothing with nothing when everything else has been said’ 4 There is no full stop at the end of this final sentence of the paragraph. Before describing the moment when she realises her husband is no longer alive, Howe unfolds a restrained and careful description of the couple’s early morning domestic habits: who gets up first, what breakfasts are eaten, whether the morning paper is gathered in, is the occasional walk a possibility. It’s a companionable but separate life — no shared bed or even shared room — of two people in their seventies, who while in the midst of small predictable gestures of domesticity are also aware of the imminence of their deaths. The black void of nothingness has been at the back of their minds all along: ‘We had a running joke that at seventy anything might happen so if one of us didn’t appear in the morning by nine, the other should check’ 5. Howe’s Catholic upbringing reverberates not only in her attraction to theology and philosophy but also in the emptiness she seems to feel. Once her husband’s death is revealed in the solitary word ‘no’, Howe shifts to a short paragraph that begins with a quotation by Sarah Edwards from a letter written to her daughter about the death of Sarah’s husband, the eighteenth-century Calvinist theologian Jonathan Edwards: ‘O My Very Dear Child. What shall I say? A holy and good God has covered us with a dark cloud’6. Howe goes on to say that both Jonathan and Sarah were devout believers and that the sureness of their belief allowed them to read every action and event as part of a vocabulary of divine language. Placing herself in comparison to the Edwards family’s faith, Howe concludes: ‘I read words but don’t hear God in them’7. There is a bleakness in that statement that reveals more grief than overt descriptions of the emotional state induced by her husband’s death would have. Howe has long been concerned with the idea of ‘nothing’, an attention that defines her work as dark because its preoccupations fall into conceptual negativity, even though the missing end stop that ‘closes’ the beginning paragraph described above gives nothingness — and her husband’s death — an open, unfinished, or even infinite, quality. Howe’s Catholic upbringing reverberates not only in her attraction to theology and philosophy but also in the emptiness she seems to feel, and that suggests a painful spiritual loss: her falling away from gods of any sort borders on despair, evoking constellations of shadowed emotions. Howe does not elaborate or explain this paragraph. It simply floats between the metaphor of a fly and a cobweb and the description of how she found her husband ‘lying with his head on his arm, the way I had often seen him lie asleep’ 10. The reader can only guess at what the ‘double negative’ refers to: the most likely meaning seems to be death and its negation of living. Another possible meaning seems to refer to aspects of memory and how we select between good and bad memories. In that case, is the double negative both the bad memories and excising of the bad memories? Surely, any rejection of one’s memories, even bad ones, is also a kind of death, because it is only through memories, finally, that we live. We construct ourselves out of our pasts, and it is the memories that others have of us that retain us, although faintly and ephemerally, among the living when we are dead. _In the brilliant darkness of a hidden silence. _on what is most manifest. Dark and light are primary metaphors in mystical writing, symbolic not only of God but also of knowledge and spiritual understanding. As Rose-Steel notes, ‘In trying to grasp the metaphor of something so full of light that it precludes vision, and so perfectly dark that it is luminous, the reader is caught in a motion between two polarities, unable to achieve stability’ 13. Howe’s use of these conceptual poetic forms — what Rose-Steel calls ‘conflictive metaphors’ — puts her in the tradition of mystical writing, but hers is less a Christian-based mysticism than an existential spirituality, oscillating between an outside abstract metaphysics and her own very personal feelings and embodied perceptions. These ordinary acts always lead back in Howe’s perception to larger more abstract themes: time and its human interpretation, history; death and its omnipresence within life as irrevocable absence; and love as it manifests in memory and in human institutions such as friendship and marriage. ‘The Disappearance Approach’ continues as a series of short paragraphs separated by em dashes used like ornaments or bullets. It veers between descriptions of the necessary acts of organization after someone’s death; simple daily events such as going to see an exhibition of two Poussin paintings; the presence of forced paperwhite flowers; memories of her husband’s annoying habits of speech; a dream in which her dead husband seems deceptively alive; more notes on the Edwards family, who are simultaneously the subject of Howe’s literary excavations and muses for her own writings; and the everyday events preceding Hare’s death, including the wedding dinner of Howe’s son. These ordinary acts always lead back in Howe’s perception to larger more abstract themes: time and its human interpretation, history; death and its omnipresence within life as irrevocable absence; and love as it manifests in memory and in human institutions such as friendship and marriage. In all of these interpretative perceptions is the ‘mirroring’ that Howe finds at the centre of human relations: her philosophical poetry walks arm-in-arm with her late husband’s life as a philosopher and scholar. The above passage can be read as outlining a belief in an abstract existence — like that of language, the predator and preserver — apart from the material one that surrounds the grieving poet, but it also reveals the function of her writing as a conversation with the dead, which both preserves and sustains. Nineteenth-century writers, Ramazani posits, follow an earlier model of elegy in which grief of the mourners is transformed; theirs are the literary applications of Freud’s theory of the healing process of loss: ‘The joy of earlier elegies and many nineteenth-century lyrics had been grounded in the well-founded expectation of renewal’17. 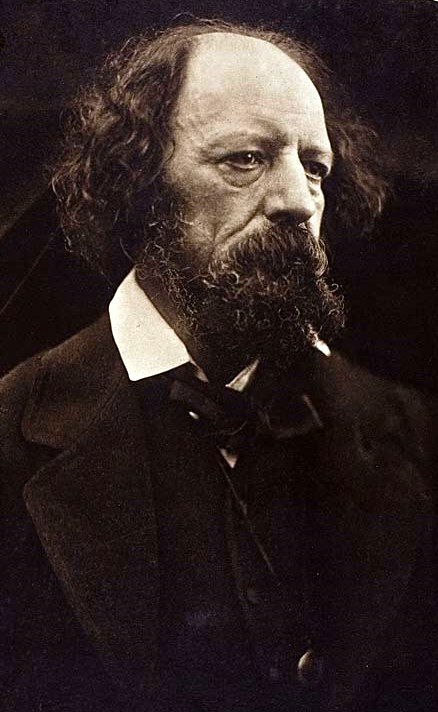 Among these lyrics, Ramazani includes Tennyson’s In Memoriam A.H.H. and Keats’ ‘Ode to the West Wind’ and the ‘Ode to the Nightingale’. This is an attitude more easily assumed when the writer and the culture at large believe in God or a god that comes attendant with a heaven. For believers, death is not loss and absence but a passage into a new and better life; for those poets writing elegies to comfort the living, the possibility that life after death might be worse than life during life worked against elegy’s function as a means of solace and was an unthinkable topic. Elegy, then, was a kind of shadowed celebration far from critical scrutiny. ACCORDING TO RAMAZANI, elegies, beginning in the twentieth century, increasingly reveal the writer’s ambivalence and anger: ‘In [psychoanalyst] Melanie Klein’s view, such ‘pining’ and idealization shield mourners from their own anger and paranoia, including fears that they may have destroyed the lost object’.18 Discussing Poems of 1912–13, Thomas Hardy’s elegiac series to his wife Emma, Ramazani poses a number of possible ambivalences, created by the writer’s feelings of guilt for making aesthetic capital (and very real financial earnings) from his wife’s death. In the twentieth century, the elegy begins to reveal a highly contradictory set of feelings and motivations between the mourning writer and the mourned. Contemporary poetry often eschews praise of the dead but allows poets to transform the pain caused by loss through the rejection of their dead and a reshaping of both personal history and a new form of identity. 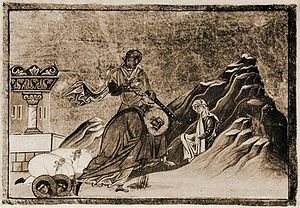 Ramazani’s book argues that the modern elegy has moved away from the traditional form of elegy, in which consolation is provided by exalting the dead, reaffirming thereby the presence of divinity and justice, while at the same time allowing the poet a congratulatory stance as the transforming artist. Contemporary poetry often eschews praise of the dead but allows poets to transform the pain caused by loss through the rejection of their dead and a reshaping of both personal history and a new form of identity, which each poet is enabled to claim through that rejection. That reshaping, that new self, is the poem’s consolation. So, how does she manage to shed the customs of both traditional and contemporary elegy and maintain this philosophical balance? I’m tempted to say, simply, practice. All of Howe’s writings, from her meditations on personal loss to her examinations of the various historical movements and figures of early New England, are elegiac in this way. Her poems collaged from old texts and shaped into visual objects on the page’s white field are also visual representations of this sense of elegy. LIKE MOST POETS considered experimental, Howe’s earliest books appeared as chapbooks, which were later gathered into larger collections. New Directions’ 1996 publication of Howe’s work, Frame Structures: Early Poems 1974–1979, was the first major compilation of her work by a mainstream publishing house — one known for its commitment not only to experimental work of the twentieth century beginning with the modernists Eliot, Pound and Williams, but also known for its early recognition of seminal American poets. The Frame Structures collection includes two chapbooks by the New York mimeo press Telephone Books, Hinge Picture and the Secret History of the Dividing Line, along with two other small press chapbooks, Chanting at the Crystal Sea (Fire Exit, 1975) and Cabbage Gardens (Fathom Press, 1979). What is unusual about Frame Structures is that it begins with an essay written in 1995 — that is to say, sixteen years after the poems gathered for this specific edition. In an interview with Edward Foster, Howe comments on this addition and how reorganization is part of her writing process: ‘I begin with fragments and bits and pieces, and they take me to what I find, and then I write an introduction to anchor the poem. The beginning is usually the end’ 22. With each shift of topic, Howe develops an idea through to some sort of conclusion, some philosophical pronouncement. ALTHOUGH THE EARLY poems collected in Frame Structures contain extensive reference to both Howe’s mother and father, the idea of paternal absence is immediately introduced in the first paragraph of the book’s opening essay, which begins with a description of the four-year-old Howe and her father at the Delaware Park zoo on December 7, 1941 — Pearl Harbor Day. The moment signifies her father leaving, he will soon join the military and be deployed to Europe: ‘I was never sure what my father was doing in the army’27, but the text of the essay soon grows wayward — moving from the bears at the Delaware zoo to John Adams. From the moment of her father’s absence, the essay reveals, she and her mother and sister take up a more nomadic existence, moving between relatives and friends, from upstate New York to Boston. These movements are like Howe’s many movings through the text of multiple voices that inhabit not only the opening essay of Frame Structures but her work in general. This movement is not stream of consciousness for, with each shift of topic, Howe develops an idea through to some sort of conclusion, some philosophical pronouncement. Howe’s studies of genealogy run through both sides of her family, and are often placed, as in Frame Structures, one after the other. Howe offers another form of genealogy, however, one which is also elegiac but that lies apart from that of the lives and deaths of her family history: a genealogy of American women writers, who because of their gender have died a second death within history. Their lives and their spiritual passions — from the antinomian Ann Hutchinson to the poet Emily Dickinson — are embedded in Howe’s writing as she rediscovers and reorganizes these women’s thoughts, which were written during the formational years of New England up until the twentieth century. Although she is also deeply involved in the work of male writers — such as Melville and Emerson — during these several hundred years, an emphatic part of her project is not only to recover women’s lost voices but also to identify those voices with the remaking of British English into American English. 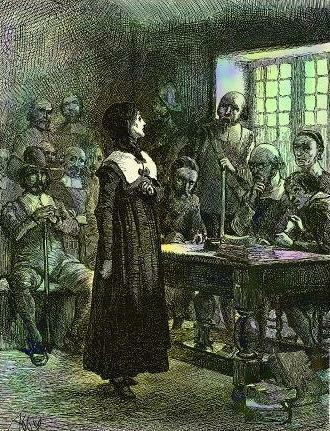 Howe sees these women’s voices as they are shaped through their faith-based — rather than religion-based — perceptions of the world as part of the wilderness that confronted the colonists settling into the new world: ‘During the 1630s and 1640s a mother tongue (English) had to find ways to accommodate new representations of reality’ 30. An emphatic part of her project is not only to recover women’s lost voices but also to identify those voices with the remaking of British English into American English. Wilderness itself is a darkness. It has conventionally stood for being outside Christian grace, as well as standing in for the unknown, the untamed and that which is fraught with danger. This is a place that Howe willingly inhabits because she senses it as a place not only of readjustment but of reformation. The disintegration of known identities occurs simultaneously with the reintegration of identity. This is rather like Elizabeth Robinson’s theory of the scant, when the vacuum of the lost is quickly filled by others through life’s eager energy. Like all of Howe’s compiled books, That This is a complicated structure. Besides the opening essay about her husband’s death and its surrounding events in her life, the collection continues with two series, ‘Frolic Architecture’ and ‘That This,’ and ends with a solitary untitled poem, which is a collage of two short fragments from books. I love to read her [Sarah’s] husband’s analogies, metaphors, and similes. The collages are typical of Howe’s typographic collage work, in which photocopies are shredded, overlapped, and layered into short poems. 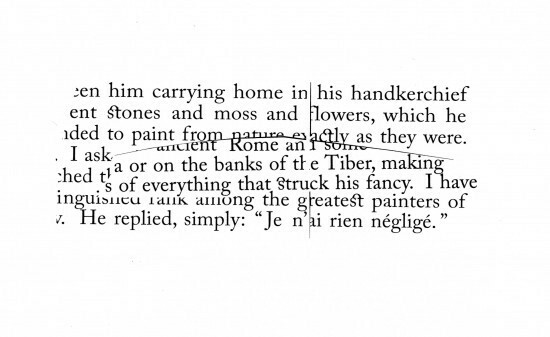 This ‘form’ comes out of Howe’s family archives; Howe’s uncle wrote and pasted into his books in multiple directions, much like Howe handles her pasted fragments of photocopied text. The disruptions and elisions in the form are visual representations of the gaps — the absences — that predominate Howe’s more conventionally formed poetry and her metaphysic. The poems work less to reinstate the writing of Hannah Wetmore than to transform it into short prayer-like pieces of text, which are characterized by being torn out of context as well as out of the past. That they retain meaning, and even transform meaning by highlighting turns of phrase and small grammatical events is a tribute not only to language but also to the endurance of the smallest and most fragmented human gesture at communicating intimacy. At this time of sorrow, Howe gathers together work that deals not only with the death of a loved husband but also with the question of being and immortality. And while not offering a conventional, religious doctrine of afterlife, or even a consistent theology, Howe substitutes a personal sense of the divine through her mapping of intricate genealogical and historical intersections and through her own interpretation of life as meaningful. Meaningful without consistent or logical explanation; it is perhaps here that we can claim most definitively her work as dark. FINALLY, HOWE’S WORK offers neither the consolation of traditional elegiac convention nor the cathartic accusations and restructuring of identity through rejection that Ramazani posits are characteristic of contemporary elegiac poetry. It accepts simply that death is a fact of our existence, and rewinds moments of personal history and death into an idiosyncratic view of written history that attempts to reform monolithic institutional records with intuition, imagination and the attractions of faith. All of her writing taken together forms a web — or perhaps lace or cut-work embroidery — of words that show the complexity of one woman’s life: its connection to history and the tender, remote and fragile emotions that she experiences through her love of those whose lives intersect intimately with her own. Jaime Robles has two poetry collections with Shearsman Books, Anime, Animus, Anima (2010) and Hoard (2013). Her poetry and reviews have been published in numerous magazines, among them Agenda, Conjunctions, New American Writing, Shadowtrain, Stride and Volt! She often uses her texts for artist books, including her Loup d’Oulipo (Woodland Editions, 2002) and Letters from Overseas (Woodland Editions, 2010); her bookworks are in collections at the Bancroft Library, University of California, Berkeley; The Beinecke Library, Yale University; and the Oulipo Archive in Paris, among others. She has written librettos for song cycles and two one-act operas: Inferno (Peter Josheff, composer), which was staged by San Francisco Cabaret Opera (2009), and Vladimir in Butterfly Country (Anne Callaway, composer), staged in 2012. She reviews dance and opera for Bachtrack.com (UK), San Francisco Classical Voice, and the Piedmont Post. She has a PhD in English Literature from the University of Exeter. Publication: Wednesday, 18 June 2014, at 10:44. Options: Archive for Jaime Robles. Bookmark the permalink. Follow comments here with the RSS feed. Post a comment or leave a trackback.